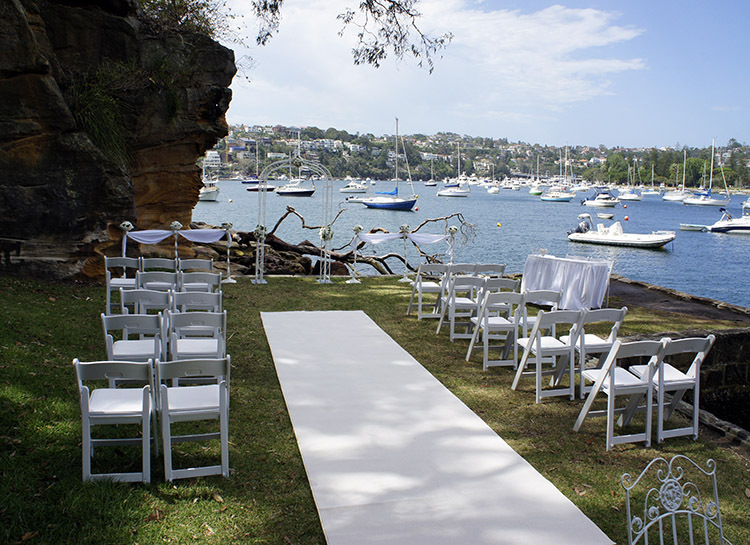 A small and intimate outdoor wedding ceremony creates a private and special occasion and can reduce the stress and workload of organizing a much larger special day. A small and intimate wedding ceremony can save you a lot of money which can go towards that well deserved honeymoon. Small and intimate for the wedding ceremony and then go big on your reception or even better, your honeymoon! Which ever way you decide to go, deciding to have an intimate outdoor wedding ceremony is a beautiful shared experience with a small number of family and friends that you’ll remember fondly. So just how many people does it take to have a small outdoor wedding ceremony? Very debatable but it can be anywhere from a handful of people up to 20-30 or even 40. It’s really up to interpretation and differs from culture to culture, some may think 100 is small. The wonderful part of a small outdoor wedding ceremony is the endless styles you can create to make the occasion look wonderful without spending too much. 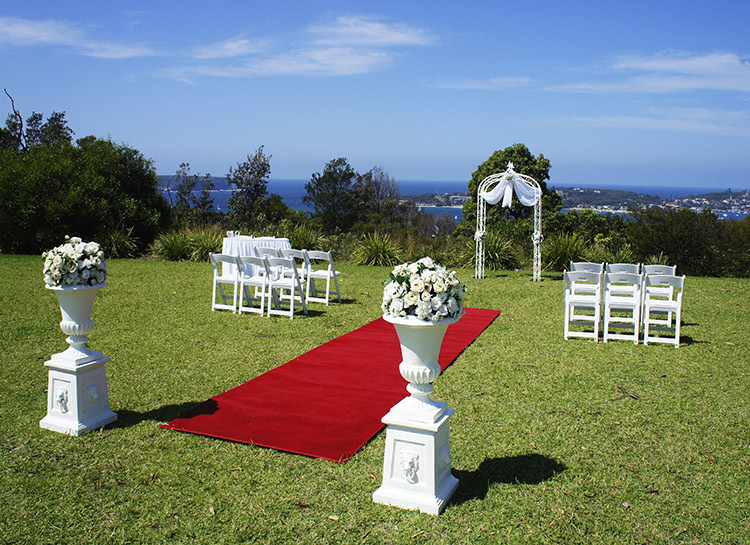 Adorable Wedding Concepts has a range of packages to choose from that will suit all garden wedding venues no matter the size of the wedding party. If you are creative and want to customise a setting we can design and style anything you want! Adorable Wedding Concepts has a range of wedding hire decorations that can be put together to create a special style all of your own, everything from ceremony aisle decorations, ceremony urns and pedestals, hanging chair decorations and aisle runners. You name it and Adorable Wedding Concepts will be able to create a look tailored to your style and if not we’re happy to incorporate your items or source items on your behalf. 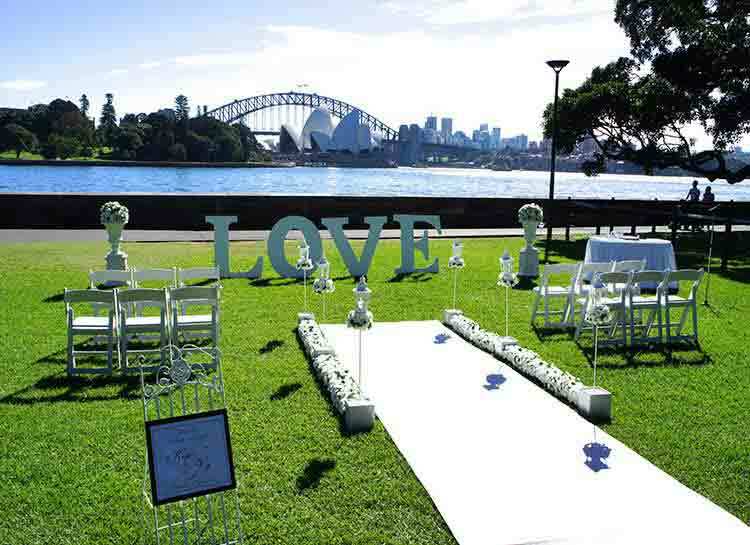 With garden wedding ceremonies extremely popular right across Sydney thanks to the many spectacular outdoor venues and water view locations, it’s all about where to choose to have your wedding ceremony. Having a small and intimate wedding means you can make it a destination wedding. Meaning, you don’t have to have the ceremony close to your local suburb, you can have it on the other side of the city or if you’re very lucky, in another country! Not having to worry about everyone being able to get to your wedding is a blessing with small wedding ceremonies. All you have to worry about is your favourites making it and generally, as they are your nearest and dearest, everyone will show unless there really is a clash of dates. 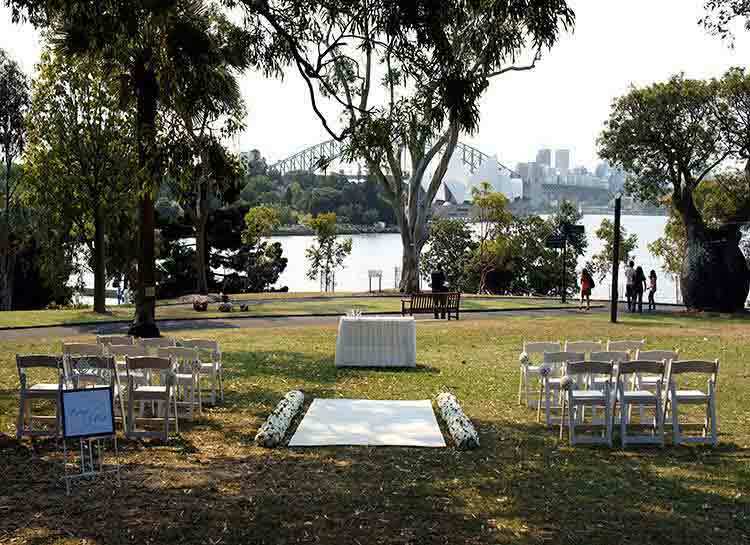 We’ve had a number of wedding parties travel from regional NSW for their wedding ceremony to make the most of Sydney Harbour garden venues like the Royal Botanic Gardens and Hickson Road Reserve. Every venue has it’s own unique characteristic so if you are looking for guidance and advice you can contact us to discuss your intimate outdoor wedding ceremony or send your ENQUIRE today and we’ll help you plan the event.